This annual appointment was a major, an efficient platform for designers, analysts, IT managers, engineers, professors, researchers, associations and students involved or interested in virtual simulation tools. 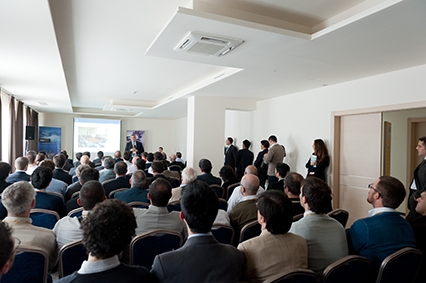 In the field of numerical analysis, the International CAE Conference is one of the most important event in Europe. It features two congress days and some Users' Meetings of the main technologies developed by the most important worldwide CAE players, such as ANSYS, Flowmaster, MAGMA, Forge, modeFRONTIER, LS-Dyna, and others.